Scripture quotations marked HCSB ® are taken from the Holman Christian Standard Bible ®, Copyright © 1999, 2000, 2002, 2003, 2009 by Holman Bible Publishers. Used by permission. HCSB ® is a federally registered trademark of Holman Bible Publishers. Scripture quotations marked “Darby” are taken from the “New Translation” Bible by J. N. Darby. 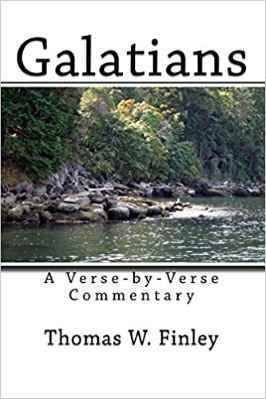 Scripture quotations marked “Wuest” are taken from “The New Testament: An Expanded Translation by Kenneth S. Wuest.” Copyright © Wm. B. Eerdmans Publishing Co. 1961. All rights reserved. The final version of this book was made possible through the gracious input of several people. Special thanks is extended to James Fazio, Norman Young, Donnie Preslar and Jody Dillow for their critical review of the content of the book. I am also very grateful to Robert Conrad, John Reid, Mae Young, Bobby John, Bill Dunleavy, Christie Carman and Rick Hearn, who worked with the manuscript in various ways in order to prepare it for publication. I am particularly grateful to Norman Young for his important insights on the Greek text. He has an expert knowledge of the Greek language of the New Testament, whereas I do not. It is always a joy to work together with others in the body of Christ for the edification of the saints.